Our humans would be lost without this cell phones. You never had to fear because Henry the Royal dog was by your side. We try to tell the humans that we will protect them when their gadgets go missing but they don’t always hear us. Glad you are in commission again. Thank you, Bella and DiDi. It’s great to be back in commission again! And yes, Henry saved the day! Thanks so much! Glad it gave you a laugh! M- you’re a nut. You made me smile. It is true, we get a little too attached to our phones. It’s crazy, but they become an extension of our arms. We can’t function without them, or think we can’t, but we do manage. Rather ironic to read this the morning after awakening from a dream in which I seem to have misplaced (or lost) my cell phone (somewhere on a vacation of sorts in a house with many people). I can still sense that anxiety in my dream, relieved only when I awoke to remember the phone was on my desk. I have a hankering of what initiated the dream (no doubt issues much larger than a misplaced phone). But I did find myself smiling (even laughing) at the ‘slavery’ you so delightfully cast an eye on here. My husband, who does not own a cell phone, would probably find this even more amusing. You had to have felt positively naked, unconnected and well, not safe. Glad you feel that you’re back in business. I think we’re about ready to let go of the landline, but it’s a dilemma. Can my cell phone handle conference calls, faxes and then there’s the security system tied to it–yet no one calls us on the home phone any more. I’ve never left my phone at school, but I have walked out the door in the morning without it–then my family goes crazy because they do keep up with me during the day. I am so sorry you left your phone lonely and unattended. How could you? Your phone was likely cursing you for your inattention. I am of course giggling at you. I leave my phone in the car, every single night so I am not bothered by it. I still have a land line in the house. Very few people have the number and those that do know they can reach me if they need me. When I leave my phone inevitably my daughter calls me. Then she calls all my friends and her father (my ex) to see if they know where I’ve gone off to. Then she sends the facebook messages and the emails. You see if you don’t tell them you’re okay you get a much more satisfying response. Lisa, you raise a good point about 911, but I think they can at least trace you to the nearest cell tower. I like your strategy for hearing from the family. A kind of reverse psychology. Very clever! Fortunately, I’ve never gone that long without my cell phone — I can’t imagine how frustrating that must have felt! It sounds as if you handled it quite well, all things considered — better than most of us would. We’ve all grown so terribly attached to our gadgets! It’s one thing to just chat away on one’s phone — it’s another entirely to NEED your phone in case of an emergency. Glad you survived okay! Thanks, Debbie! I’m also glad I survived the day! PS: I agree with the comment above about your darling Henry. Get that boy in the movies! You could use your iPhone to make his audition tape. So funny Monica! However, it is amazing how a piece of equipment that only 10 years ago we thought we could live without, now has become attached to our body so much so that we are lost without it! What a wild imagination you have 😀 Glad you made it safely through the night without your cellphone. PS – Henry is just gorgeous. 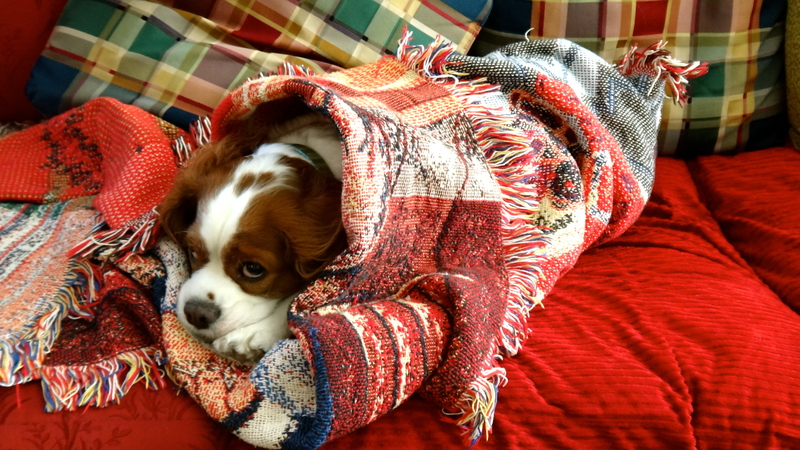 I used to have a Cavalier King Charles and he was one of the most awesome dogs I ever knew. Monica, your post yet again made me laugh out loud!!! How do we manage without our mobile phone…..
My Blackberry has my world on it, my emails, my appointments, my general diary, business web addresses. The list just goes on. I carry mine everywhere I even put it in my pocket when I walk downstairs to the kitchen to make a drink or a snack. We have indeed become a slave to our cellphones. But having said that I think I am more a slave to my iPad, I even read the news on it when having breakfast and play games on it when I am having dull none productive periods, whether the none production is due to playing the games or not I won’t go into!!! I can remember years ago not having a landline when they were not that common and walking a mile or so to a phone box and joining the queue to use it. Henry had the right idea and just went to sleep, it’s a dogs life!!!!!! Henry always has the right idea. When in doubt, take a nap. That’s his motto! Thanks, MM. You are ever so sweet. Henry is pleased you like his photo. He says he wouldn’t expect any less, as he believes he makes a rather fetching model.